The Man in the Middle not only recounts and helps explain the past, but informs the future, providing a stark assessment of American conservatism just months before a pivotal presidential and congressional election. Goeglein writes of the need for a continuing of the American renaissance rooted in first principles, a movement in which strong public faith plays an important role. 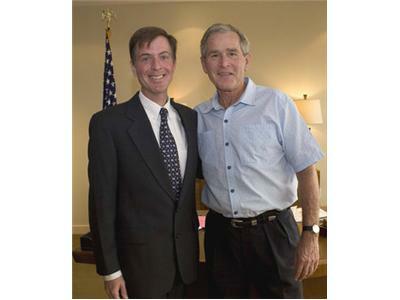 Goeglein first joined the Bush team in Sept 2000. He served as a special advisor to the President & Deputy Director of the White House of Public Liaison until Feb.2008, when he abruptly resigned over a plagiarism scandal in which it was revealed Goeglein had copied portions of opinion columns. 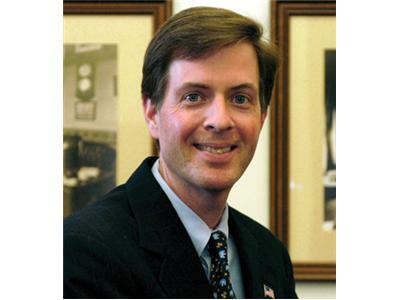 Goeglein now serves as VP of External Affairs for Focus on the Family. 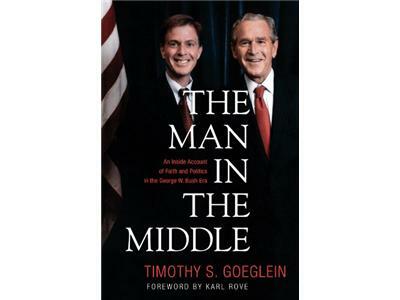 The Man in the Middle, a memoir of faith & politics in the George W. Bush era, is his first book.